Empyreal: Spells and Steam, designed by Trey Chambers and published by Level 99 Games, is the thematic sequel to Chamber’s earlier design, Argent: The Consortium. Both games take place in Level 99’s fantastical World of Indines, and both are heavier Euro games. But the designs divert significantly from there. Where Argent features worker placement and a secret victory criteria, Empyreal uses route building and an interesting twist on a rondel as its main mechanisms. To be clear, I have not played this game on a table, but did have the chance to preview it on Tabletop Simulator. I have seen some of the finished art and design, as well as digital renders of the train sculpts, so let me touch on that briefly. The art is exactly what you would expect if you are familiar with Level 99, which is to say beautiful, thematic, and inclusive. The main artwork is done by Laura La Vito, and the character artwork is done by Eunice Abigael Tiu, the artist for Argent: The Consortium, which maintains a nice continuity between the games. Adding to that are some “Easter egg” appearances by characters from that game in the artwork here. As for the components, there is going to be a lot of stuff in this box. The game plays up to five using the standard rules, and will have a team-based mode that plays six. In the box, there are six “company folio” player mats with captain placards, 240 trains, 7 map tiles, 10 wasteland tiles, 20 award tiles, 36 specialist tiles, 54 demand tiles, 55 engine tiles, 55 mana crystals, 150 goods tokens and more. 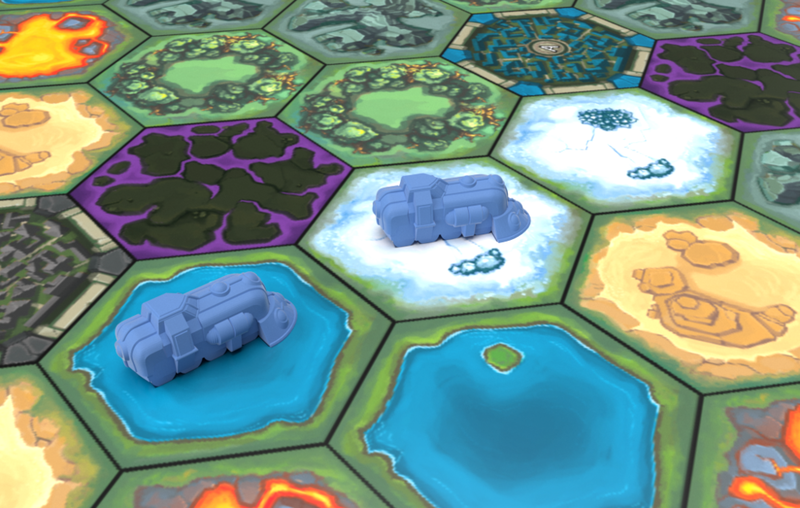 Each of the player boards, captains, specialists, and engine tiles are unique, which should make each game play quite differently. The sculpts for each color of train are also unique, which is pretty cool, although irrelevant to gameplay. While some of the tiles in the game could have been cards, the game has no cards in it. There is a lot going on in Empyreal -- it has route building and resource gathering on the main terrain board, along with an interesting action selection mechanism, engine upgrading, and specialist hiring on the player board. But despite everything going on, the game is intuitive, and its micro-actions keep it moving along at a good pace. Also, unlike some heavier Euro games that squeeze players through significant limitations, in Empyreal you always have a productive action that will aid in your advancement toward your short- and long-term goals. This positive feedback loop is rewarding, especially for players new to the game that are unsure of optimal decisions. The board starts off with plenty of room to maneuver, but tightens quickly, becoming a knife-fight for the ever-dwindling resources and bonus tokens by the game’s end. This slowly accelerating tension gives the game a great forward momentum, and helps to keep players engaged throughout. The aspect of the game that impressed me most is the action selection track on the player mat, or, in the game’s terms, the “conductor path” on the “company folio.” The conductor starts on the left most space and can move one space for free each turn, or can traverse more than one space, paying increasing mana costs for each additional space traveled. Each of the first five spaces allow track to be laid on different types of terrain. At the end of those five spaces is one more space, the delivery space. This is where players take goods of one type from anywhere connected by their train network and place them on their player boards, earning them victory points. They will also earn bonus point tiles if they delivered two or more of a good. Players then get an upgrade -- either extra mana, a specialist, or two additional engines to add to their player board -- before resetting their conductor back to the beginning of their path. My biggest concern after playing Empyreal isn’t actually about the game, which is rock solid, it’s about properly managed expectations. Empyreal is a satisfying Euro experience that I have no doubt will captivate medium and heavier gamers for many repeated plays. However, Empyreal is not Ticket to Ride with a fresh coat of wizard-themed paint, and will be either a frustration or disappointment, if not both, for any lighter or family gamer that get the game after seeing the cool artwork and the plastic trains on the box. However, for the intended audience, Empyreal really knocks it out of the park. The balance of properly managing your mana and optimally moving your conductor along their path, linking the terrain you need and delivering it ahead of your opponents, while simultaneously gaining powerful bonuses that improve your engine and accelerate the game, is the hook of Empyreal. It is a very strong and satisfying hook, especially combined with the unique player powers of the captains, the varied setups of the company folios, and the unique specialist and engine tiles that are available for you to build into your efficiency engine each game. Empyreal: Spells and Steam really shows off Level 99’s strength of publishing games that blend exciting, modern gameplay featuring great depth and variability with their special quirky, hyper-thematic style. I can’t wait to see this game be made a physical reality and get to play it on the tabletop myself. The Empyreal: Spells and Steam Kickstarter campaign is launching on May 4. 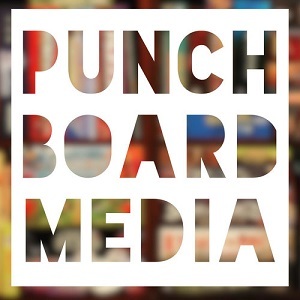 Full disclosure: Empyreal designer Trey Chambers is a member of Punchboard Media as a co-host of the podcast Eternally Board.